Table 1. Means of apparent food consumption (kcal/person/day) by decades. Mexico, 1961 to 2013. Table 2. Gini coefficient, human development index and the gross domestic product and prevalence of diabetes mellitus in Mexico for the period 1999, 2006 and 2012. To analyse the evolution of the frequency of type 2 diabetes (T2D) and its relationship to eating patterns in Mexico from 1961 to 2013, and the Gini coefficient, Human Development Index (HDI) and Gross Domestic Product (GDP). Mexico ranked sixth in world prevalence of diabetes in 2015 with an estimated 11.4 million Mexicans affected. Using data from the Balance Sheets Food published by the Food and Agriculture Organization of the United Nations (FAO), the means of apparent food consumption (kcal/person/day) were grouped by decades. Data for mortality rate for diabetes were obtained from 1990 until 2015. Spearman's correlation coefficient was calculated between the diabetes mellitus mortality rate and all food groups. Pearson's correlation explored the relationship between socio economic indicators and the prevalence of T2D diabetes. The mortality rate for T2D has increased over the last decades. An increase of 647.9kcal/person/day in apparent food consumption was observed. Cereal and legume consumption decreased, while apparent sugar, animal food and animal fat and vegetable oil consumption increased substantially. HDI and GDP showed a directly proportional relationship to diabetes. Spearman's correlation coefficient was statistically significant only for sugar. The Gini coefficient suggests that in lower inequalities there is an increased frequency of diabetes. The increase in the mortality rate of type 2 diabetes was constant during the study period, which coincides with the increase in energy density of Mexican eating patterns from 1961 to 2013. The higher the Gini coefficient, HDI and GDP, the higher the mortality observed for diabetes. Analizar la evolución de la frecuencia de la diabetes tipo 2 y su relación con los patrones alimentarios en México de 1961 a 2013, así como el coeficiente de Gini, el índice de desarrollo humano (IDH) y el producto interno bruto (PIB). México ocupó el sexto lugar en la prevalencia mundial de diabetes en 2015, con una estimación de 11,4 millones de mexicanos afectados. Utilizando los datos del balance de alimentos de la Organización de las Naciones Unidas para la Agricultura y la Alimentación (FAO) se agruparon por décadas las medias de consumo aparentes de alimentos (kcal/persona/día. Se analizaron datos sobre la diabetes de 1990 hasta 2015. Se realizó una correlación de Spearman entre la tasa de mortalidad por diabetes y el consumo de los distintos grupos de alimentos. La correlación de Pearson exploró la relación entre los indicadores socioeconómicos y la prevalencia de diabetes. La tasa de mortalidad por diabetes tipo 2 aumentó consistentemente. Se observó un incremento de 647,9kcal/persona/día en el consumo aparente de alimentos. Los cereales y las legumbres disminuyeron, mientras que los azúcares, los alimentos y las grasas animales, y los aceites vegetales, aumentaron. La correlación de Spearman fue estadísticamente significativa solo para el azúcar. A mayores IDH y PIB, mayor fue la prevalencia de diabetes. El coeficiente de Gini sugirió que, a menor desigualdad, mayor frecuencia de diabetes. El aumento en la tasa de mortalidad de la diabetes tipo 2 fue constante durante el periodo de estudio, lo cual coincide con el aumento de la densidad energética de los patrones de alimentación en México de 1961 a 2013. A mejor coeficiente de Gini, IDH y PIB, se observó una mayor mortalidad por diabetes. Given that overweight and obesity are the most important risk factors for developing diabetes, it is worth noting that the combined prevalence of overweight and obesity in the adults in Mexico has increased 15.2% over the last twelve years. In 2012 this prevalence was 71.2% (ENSANUT 2012),3,11 and has increased to 72.5% (ENSANUT-MC) in 2016. The above scenario occurs in parallel with the so-called “nutritional transition”, that initially occurred in high-income and later in low-income countries, first in urban areas and then in rural areas.13,14 Urbanization has led to a tendency towards more sedentary activities and a greater increase in ultra-processed and high caloric foods consumption. The purpose of this study is to analyse the evolution of the frequency of T2D and its relation to changes in diet in Mexico from 1961 to 2013, the Gini coefficient, the Human Development Index (HDI) and Gross Domestic Product (GDP). The Gini coefficient measures the degree to which the distribution of income among individuals or households within an economy deviates from a perfectly equal distribution. A Gini coefficient of 0 indicates to perfect equality, while a ratio of 100 implies perfect inequality. The HDI has three dimensions (long and healthy life, education and decent standard of living). The HDI will be greater when the disadvantages do not predominate in a particular dimension and/or when the internal inequality in the components of a dimension is smaller. Gross Domestic Product constitutes the sum of the monetary values of the goods and services produced by a country, excluding the duplication derived from buying and selling operations that exist between different producers. An ecological study was performed using data from the Balance Sheets Food (BSF) published by FAO, the means of apparent food consumption (kcal/person/day) for Mexican population, during the period from 1961 to 2013 were grouped by decades.15 The proportion of kcal/person/day for each food group was calculated in each decade. BSF data show food availability and apparent or average apparent consumption of quantities and groups the main food for human consumption in different countries per year. This information does not provide data access and actual consumption of food, nor does it show differences by population groups. However, since the BSF are produced each year, they enable comparisons between countries and show trends in food consumption in a country over time.15 Variables are means of apparent food consumption (kcal/person/day), proportion of kcal/person/day for each food group, mortality rate, incidence and prevalence for diabetes, Gini coefficient, HDI and GDP. The mortality rates for diabetes in Mexico from 1990 until 2015 were obtained from the INEGI Mortality Statistics,16 from the base that is generated from the “Interactive Data Query”. The following were selected from the keys corresponding to diabetes from 1990 to 1997, registered in version 9 of the International Classification of Diseases (ICD): diabetes mellitus with no mention of complication, diabetes with ketoacidosis, diabetes with neurologic disorders, diabetes with peripheral circulatory disorders, diabetes with other manifestations specified, diabetes with renal manifestations, diabetes with manifestations of ophthalmic complications not specified. For the period 1998 to 2015 all registered diagnoses for diabetes were considered according to ICD-10. Rates were calculated per 100,000 inhabitants according to the age group reported with CONAPO population projections (1990-2009 and 2010-2050). Subsequently, the incidence of diabetes and the number of new cases reported from 2000 to 2015 we analysed. Spearman's correlation coefficient was then calculated to investigate whether there is a relationship between the diabetes mellitus mortality rate with the consumption of all food groups (kcal/person/day). Finally, Pearson's correlation was applied to explore the relationship between the Gini coefficient, HDI, GDP (Information from the World Bank from 1990 to 2012)17 and the prevalence of T2D for 1999, 2006 and 2012, using the data from the National Health and Nutrition Surveys.11 The significant value of p <0.05 was statistically considered. The mortality rate for T2D has increased progressively over the last decades. Between 1990 and 2015 the death rate increased from 29.6 to 81.4 per 100 000 inhabitants (Fig. 1). In 1990, T2D deaths accounted for 6.1% of all deaths and by 2015 accounted 15%. In 1990, the mortality rate for T2D was 33.4 for women and 25.7 for men, and by 2015 the rate for men (81.0) was practically equal to that for women (81.8) (Fig. 1). Rates of mortality for Diabetes mellitus in Mexico,1990-2015. Source: Prepared by the authors from INEGI, mortality statistics (http://www.inegi.org.mx/est/contenidos/proyectos/registros/vitales/mortalidad/tabulados/ConsultaMortalidad.asp). Rates calculated with the 2005-2050 projections CONAPO, Mexico, 2015 (http://www.conapo.gob.mx/es/CONAPO/Proyecciones). The incidence rate has declined since 2011, after an important increase between 2000 and 2004 and slight fluctuations between 2005 and 2010 (Fig. 2). This could be attributed to under-registration of cases or because patients go to other types of medical institutions. Incidence rate. Diabetes 2. Mexico 2000-2015. Source: Prepared by the authors from SUIVE/DGE/Secretaría de Salud/Estados Unidos Mexicanos (http://www.epidemiologia.salud.gob.mx/anuario/html/morbilidad_nacional.html). Apparent consumption increased 647.9kcal/person/day between 1961 and 2013. The significant increase from 2316 to 3209kcal/person/day occurred between 1961 and 1981 (893kcal/person/day), and then (from 1982 to 1999) no significant changes were observed around 3100kcal/person/day. Over the next 10 years, between 2000 and 2007 an increase of more than 250kcal/person/day was observed. From 2008, the apparent consumption of kcal/person/day decreased again (Fig. 3). Average appaerent comsumption of Kcal/person/day, Mexico 1961-2013. Source: Prepared by the authors from Balance Sheets Food published by FAO. Statistical Databases. 1961-2013 (http://faoestat.fao.org). As for food groups, it became clear that cereals and legumes (beans) apparent consumption decreased (12.9% and 3.1%, respectively), while sugars, animal foods, animal fats and vegetable oils consumption increased substantially (3.0%, 7.4%, 1.5% and 4.0%, respectively). Fruits and vegetables, roots and tubers and alcoholic beverages consumption showed a slight increase (Table 1). Means of apparent food consumption (kcal/person/day) by decades. Mexico, 1961 to 2013. An increase both in the mortality rate due to diabetes mellitus and in the total kcal/person/day consumption from 1990 to 2007. As of 2008, although the kcal/person/day consumption decreased, mortality continues with a progressive increase. In 2011, there is a slight decrease in the mortality rate that coincides with the lowest level of kcal/person/day recorded in this period. Figure 4 shows a progressive increase in both sugar and sweetener consumption and the diabetes mortality rate, the others food groups did not show a statistically significant correlation. Rate motality for diabetes mellitus and percentage of sugar consumption (Kcal/cap/day) in Mexico. Source: Prepared by the authors from INEGI, mortality statistics (http://www.inegi.org.mx/est/contenidos/proyectos/registros/vitales/mortalidad/tabulados/ConsultaMortalidad.asp). Rates calculated with the 2005-2050 projections CONAPO, Mexico, 2016 (http://www.conapo.gob.mx/es/CONAPO/Proyecciones), United Nations for Food and Agriculture. Statistical Databases 1961-2013 (http://faoestat.fao.org). The Gini coefficient reached a negative correlation and statistical significance (r: 0.7547 and p <0.05), suggesting that in lower inequalities there is increased frequency of diabetes. The HDI showed a directly proportional relation to diabetes (r: 0.9726 and p <0.05), implying that where there are better economical, educational and health conditions (HDI components), the frequency of the disease was higher. GDP was similar to HID (r: 0.9729 and p <0.05) (Table 2). Gini coefficient, human development index and the gross domestic product and prevalence of diabetes mellitus in Mexico for the period 1999, 2006 and 2012. Source: http://datos.bancomundial.org/pais/mexico, http://datos.bancomundial.org/indicador/SI.POV.GINI?locations=MX, http://hdr.undp.org/en/countries/profiles/MEX, Encuestas Nacionales de Salud 1999, 2006 and 2012. Based on the claim that obesity is the leading cause of diabetes, this study argues that a key factor in interpreting the high prevalence of T2D is the abandonment of the traditional diet and the adoption of a high-energy density diet based on ultra-processed food. On the one hand urbanization has led to more sedentary activities; physical activity, particularly in workplace, has decreased significantly (growth of the tertiary sector or services), and with this the number of calories consumed. On the other hand, technological advances in food processing and packaging developed to control microorganisms, taste and temperature have reduced food costs and preparation times.18,19 Consequently, individuals now consume a greater variety of foods and more frequently during the day. Likewise, a greater increase in consumption has been observed in the foods most affected by this mass industrial preparation (ultra-processed food), which in turn means a higher caloric intake. These foods can be designed to stimulate responses in the affective system and evidence suggests that people with obesity consume them in greater quantity.20 The observed effect therefore suggests a change in the pattern of food consumed, and an increase in the size of the portions. In Mexico, T2D is an epidemic that show different facets. There has been a significant increase in recent years in chronic degenerative diseases but, have reduced the incidence rate probably because of the small number of people with the disease requesting consultation, rather than the number of cases having decreased. ENSANUT-MC 2016 point out that the prevalence of diabetes in Mexico presents a heterogeneous pattern. It was higher in urban areas (9.4%) than in rural ones (9.2%) but the difference is very small.3 However, in less developed areas death rate from diabetes increased. According to Barquera et al.2, the death rate from diabetes rose 128% between 1980 and 2000, in one of the least developed areas in México, while in one of the richest areas, this increase was 32.5%2. The increase shows that the disease is already affecting the most socially disadvantaged population. 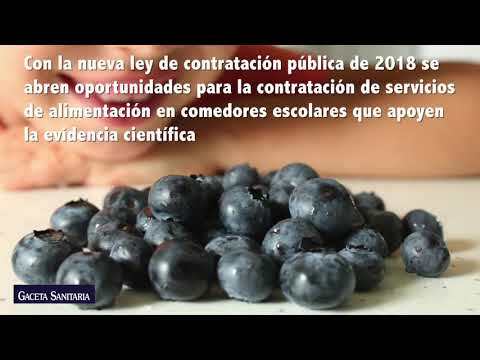 With regard to the above, Moreno-Altamirano et al.6 have documented that between the years 2000 and 2012 prices of fresh fruit, tortillas and beans increased relative to soft drinks (33.4%, 60.1%, 71.8%, respectively) and to chips (2.9%, 23.1%, 32.2%, respectively). With respect to the above, Luiselli 34 indicates that in Mexico agricultural GDP per capita at constant prices (i.e., net of inflation) has decreased 11.4% when comparing the period 1978-1985 to the period 2008-2014. The trend is also due to lack of public support for the agriculture. The reduction in the promotion of activity in the sector has been so substantial that one can speak of “abandonment”, while public investment in the sector reaches values close to zero. At the same time, intakes of legumes has reduced in Mexico.33 Leguminous consumption is relevant for T2D, since legumes have a low glycemic index and are good sources of fiber, amylose starch and phytochemicals, such as phenols, lectins and phytates that lead to a slow absorption of their carbohydrate content of from the intestine.30 Gaesser35 concluded that a low-fat diet with a high carbohydrate content, with an emphasis on high-fiber carbohydrates, particularly cereal fiber, has a beneficial influence on health and weight control.35 Likewise, the risk of diabetes or metabolic syndrome is greater in those who eat less fruit and vegetables; consumption of fruit and vegetables was associated with a reduction in the risk of coronary heart disease and T2D.36 On the other hand, Aune et al. 37 found a of 21% increase in the relative risk of diabetes for red meat and 41% for processed meat when comparing the high and low intake of these products. In line with literature, the findings of this study revel that obesity and chronic diseases such as diabetes continue to rise at slower pace, and it is possible to consider that kcal/person/day apparent consumption have reached a possible limit or “saturation balance”. This study revealed that where there are better living conditions (HDS, GDP and Gini), there is a higher prevalence of T2D, as confirmed by the available information.1 At the same time it has been documented that both diabetes and obesity are already affecting the poorest population.2 This could be explained by the greater availability of high energy and ultra-processed foods and beverages. Among the poor or low-income strata population an increase in these conditions has been observed, coupled with poor diets characterized by ultra-processed food and beverages. Moreno-Altamirano et al.33 observed in 2014 that the lower-income population in Mexico spends 4.9 times less on fruits than the better off. In the higher income sector, both beef and fish expenditure were higher (3.9 and 5.9 times, respectively). Milk expenditure was lower than in industrialized beverages in the poorest strata. On the other hand, people with higher incomes spent more on milk and dairy products and 2.7 times less on industrialized beverages. While dietary patterns of the population are related to their income, income does not necessarily determine adequate food. According to the theories of consumption proposed by Galbraith40 and Duesemberry,41 choice of food has to do with the “styles of collective life”, meaning that these styles are not adopted through individual decisions but through behaviours influenced by the social and economic environment in which subjects live. Taking these theories into account it can be concluded that individual behaviour is socially imposed. The individual capacity to decide and freely choose what to eat can be restricted, in addition to revenue, advertising and market supply. This issue should be further analysed in depth from a theoretical and empirical viewpoint. We consider that in addition to addressing the proposals to individuals, there must be focus on the underlying social determinants of T2D. These determinants have led to an “obese” environment where diet is not dependent on individual actions. Food consumption and diets evolve over time under the influence of many factors and complex interactions; income, prices, individual preferences, beliefs, cultural traditions, as well as geographical, environmental, social and economic factors. As a result of the socio-economic conditions motivated by the application of the public policies proposed after the crisis of 1982, Mexican economy began a process of commercial opening that culminated with the signing of the North American Free Trade Agreement.42,43 Since then, food behaviour has been insensitive but socially imposed, and the ability of individuals to decide and freely choose what to eat, for example, has been mediated by their income and advertising market supply. The consumption of certain foods depends on the immediate cultural and social environment, in our country the market structure is inserted decisively. Thus, the food carries out his choice from a pre-selection that have already made large commercial organizations that tend to homogenize and standardize the supply of food. In order to combat the underlying social determinants of type T2D, which involves paying attention to the most vulnerable societies, substantial changes are needed in health policy, regulation of ultra-processed food and sugary soft drinks, and strengthen social and economic structures. There is need in Mexico to analyse information on socio economic strata, in both rural and urban contexts based on income deciles, the Gini coefficient and HDI components (economic, educational and health conditions). It is known that the prevalence of diabetes type 2 had been higher in high-income countries, however, it has now been documented that it is tending to be more prevalent among lower-income societies. In this regard, they are analyzing the modification of the diet and the increase in the consumption of ultra-processed foods, which for their price are more accessible for low-income and poorly educated populations. What does this study add to the literature? It is shown that the Mexican diet has moved away from the traditional one to adopt a high energy density which has been reflected in the increase of diabetes in Mexico. It provides elements to infer that the high consumption of sugars and vegetable oils is due to the increase in consumption of ultra-processed and offers arguments for conducting research aimed at more vulnerable societies. The corresponding author on behalf of the other authors guarantee the accuracy, transparency and honesty of the data and information contained in the study, that no relevant information has been omitted and that all discrepancies between authors have been adequately resolved and described. Guadalupe Soto-Estrada. She proposed to the conception and design of the work, did the review of the databases on diabetes and food, analyzed that information and interpreted. It also reviewed the socio-economic indicators. She wrote the article, made important intellectual contributions and approved the final version for publication. Laura Moreno Altamirano. She participated intellectually in the conception and design of the work and in the interpretation of the data. She critically reviewed the writing of the article and made important intellectual contributions. Approved the final version for publication. She is responsible and guarantor that all the aspects that integrate the manuscript have been reviewed and discussed among the authors with the purpose of that they are exposed with the maximum precision and integrity. García-García Juan José. He participated in the conception and design of the work, in the collection, analysis and interpretation of data. He reviewed the writing of the article and made important intellectual contributions. Approved final version for publication. Héctor Iván Ochoa Moreno. He participated in the conception and design of the work, in the collection, analysis and interpretation of data. He reviewed the writing of the article and made important intellectual contributions. Approved final version for publication. Martín Silberman. He participated in the design of the work, in the interpretation of data. He reviewed the writing of the article and made important intellectual contributions. Approved final version for publication. Dr. Laura Moreno Altamirano (Corresponding author). In the name of the rest of the authors, she guarantees the accuracy, transparency and honesty of the data and information contained in the study; that no relevant information has been omitted; and that all discrepancies between authors have been adequately resolved and described. Research carried out thanks to the UNAM-DGAPA-PAPIIT Program IN310316 and Department of Public Health, Faculty of Medicine, UNAM. Mexico. To Ing. David Limón for his technical advice. To Dr. Dewi Hernández Montoya for her participation in the elaboration of the food database. S. Barquera, Tovar-GV, N.I. Campos, et al. Geography of diabetes mellitus mortality in Mexico: an epidemiologic transition analysis. A.L. Moreno, M. Silberman, M.D. Hernández, et al. Diabetes tipo 2 y patrones de alimentación de 1961 a 2009: algunos de sus determinantes sociales en México. From the triumvirate to the ominous octet: a new paradigm for the treatment of type 2 diabetes mellitus. S. Barquera, N.I. Campos, S.C. Aguilar, et al. Diabetes in Mexico: cost and management of diabetes and its complications and challenges for health policy. A. Arredondo, E. De Icaza. Costos de la diabetes en América Latina: evidencias del caso mexicano. Encuesta Nacional de Salud y Nutrición. Resultados nacionales 2012. Instituto Nacional de Salud Pública/Secretaría de Salud. (Accessed 16/03/2016.) Available at: http://ensanut.insp.mx/informes/ENSANUT2012ResultadosNacionales.pdf. Kauffer HM. Obesidad en el adulto. (Accessed 20/03/2016.) Available at: http://www.rua.unam.mx/repo_rua/temas_transversales_de_interes_general/600_tecnologia__ciencias_aplicadas_/610_ciencias_medicas__medicina/_6009.pdf. B. Popkin, L. Adair, N.S. Wen. Global nutrition transition and the pandemic of obesity in developing countries. Global changes in diet and activity patterns as drivers of the nutrition transition. D.M. Cutler, E.L. Glaeser, J.M. Shapiro. Why have Americans become more obese?. Can we say what diet is best for health?. F. Rauber, P.D. Campagnolo, D.J. Hoffman, et al. Consumption of ultraprocessed food products and its effects on childrens lipid profiles: a longitudinal study. L.F. Tavares, S.C. Fonseca, R.M.L. García, et al. Relationship between ultraprocessed foods and metabolic syndrome in adolescents from a Brazilian Family Doctor Program. D.S. Canella, R.B. Levy, A.P. Martins, et al. Ultraprocessed food products and obesity in Brazilian households (2008-2009). Technology, diet, and the burden of chronic disease. An economy of scales: a selective review of obesity's economic causes, consequences, and solutions. Cereal grains, legumes and diabetes. C.A. Monteiro, R.B. Levy, R.M. Claro, et al. Increasing consumption of ultra-processed foods and likely impact on human health: evidence from Brazil. A.P. Martins, R.B. Levy, R.M. Claro, et al. Increased contribution of ultra-processed products in the Brazilian diet (1987-2009). A.L. Moreno, M.D. Hernández, M. Silberman, et al. La transición alimentaria y la doble carga de malnutrición: cambios en los patrones alimentarios de 1961 a 2009 en el contexto socioeconómico mexicano. Estrategias para abatir la bimodalidad agraria en México. In: Desarrollo agropecuario, forestal y pesquero. Carbohydrate quantity and quality in relation to body mass index. P. Carter, L.J. Gray, J. Troughton, et al. Fruit and vegetable intake and incidence of type 2 diabetes mellitus: systematic review and meta-analysis. D. Aune, G. Ursin, M.B. Veierød. Meat consumption and the risk of type 2 diabetes mellitus: a systematic review and meta-analysis of cohort studies. Postprandial blood glucose, cardiovascular events and all-cause mortality: how do we use postprandial glucose in clinical practice?. V.S. Malik, B.M. Popkin, G.A. Bray, et al. Sugar sweetened beverages and risk of metabolic syndrome and type 2 diabetes mellitus. Williamson J. What Washington means by policy reform. In: Latin American adjustment: how much has happened? Washington, D.C.: Williamson J. Institute for International Economics. 1990; 421-423. The strange history of the Washington Consensus.